Makeup is still a controversial topic for women. 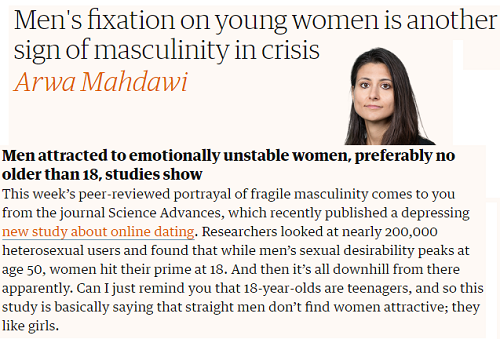 Plenty of feminists link it to some sort of spooky conspiracy of the patriarchal society. But then there are also those who don't see anything wrong in wearing it. Formally, they are known as lipstick feminists. The views of these two groups are broad. That is why, we need to dive into personal level. At the end of the day, wearing makeup is a choice. Traditionally, this ritual is added to routine during high school years. Moms don't like it. In their view, makeup has tons of disadvantages. The daughters could care less. For them, the advantages outweigh every negative point, keeping the controversy alive. Even siblings clash over it. If we peep into the advantages and disadvantages we will have to assert that both sides are correct. 1. It makes you presentable: Makeup is similar to dresses. It boosts beauty as well as hides lines and spots, helping the woman feel confident about her face. 2. It can help you get jobs in certain fields: Presentable face is most preferred in jobs where meeting with people is necessary. When I went to manage my uncle's Holiday Inn I noticed that he had interest in hiring women who wore makeup apparently because they gave an air of sophistication. Similar pattern exists within marketing, mass communication, airline and event planning jobs. 3. It screams that you care about yourself: Believe it or not, one reason why men are attracted to women who wear makeup is because it says that they are free of sadness and depression. I learned about this back in my college Freshman year from some guys. I was amazed by the revelation. So it is not only beauty that matters, but also our habit of taking care of ourselves. Makeup signals just that. 4. It makes your date feel special: In some foreign countries, you will hear songs that say "I wear makeup for my lover". Even for weddings, special attention is given to bride's makeup. Sure the current emphasis is on photographs. But traditionally it has to do with making the partner feel special. In other words, it is your way of telling them that you wish to win their heart. Men may do the same by combing hair, shaving and wearing proper clothes. 5. It can make you creative: Those who are used to wearing makeup know that it is an art. In most cases, they like to experiment with it, helping their hands become more talented. 6. 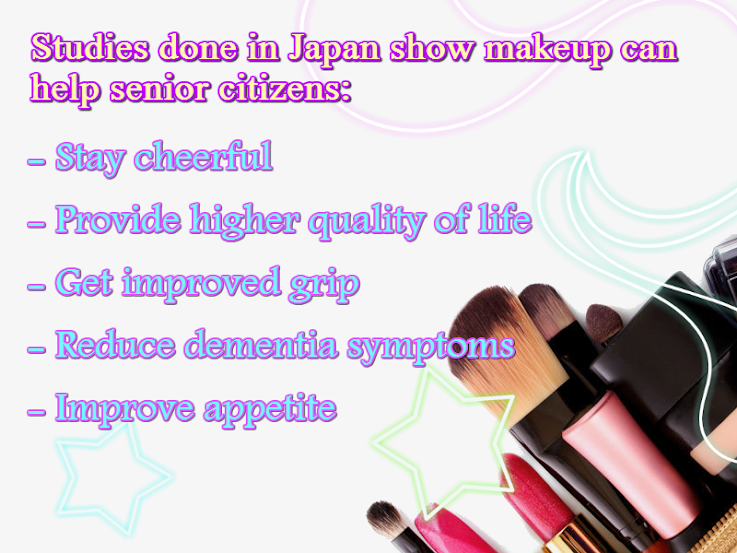 It can bring either maturity or innocence to your face: There is a misconception that makeup brings youth to only aging face. When proper techniques and colors are used, it can make a young face appear mature. Think about the dark shades. 7. It can make you look perfect in pictures: Not everyone is born with photogenic facial features. Because of this, an entire set of makeup tricks is invented by the experts. Celebrities are the clients. That said, through trials and errors, it is possible to invent our own tricks. They can fully add the kind of highlights we long for in our pictures. 8. It makes a statement: Makeup just like a picture can tell a lot about a person's views. By using different tricks, you can pretty much express it all without saying a word. Think about the Gothic girls and boys. 1. It does become a habit: Yes, once the makeup lane turns into usual route, psychological changes occur. The face feels naked without the colors. Awkwardness becomes apparent, pointing the decrease in self confidence. 2. 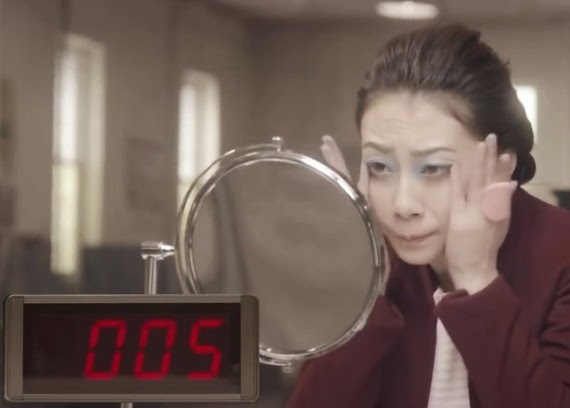 It is time consuming: It can take an hour to complete the makeup. 3. It is not easy to remove: Foundations and eyeliners are getting more stubborn day by day, converting the the removal job into a never ending struggle. 4. Mistakes are costly: There is nothing called big or small mistake here. While splats of mascara on the face demands complete wash and restart, too much makeup radiates clownish style. 5. It can leave your skin vulnerable or fully damaged: Cosmetics are not regulated by FDA. Hence, most of them time, it is difficult to weigh the danger associated with the ingredients going into them. Many of them can affect the skin badly. Also if the makeup is not removed properly it can boost acne. What kind of cosmetics my skin can take? Is the quality of the product good? Is the shown color correct or wrong? What color will suit my skin? 7. 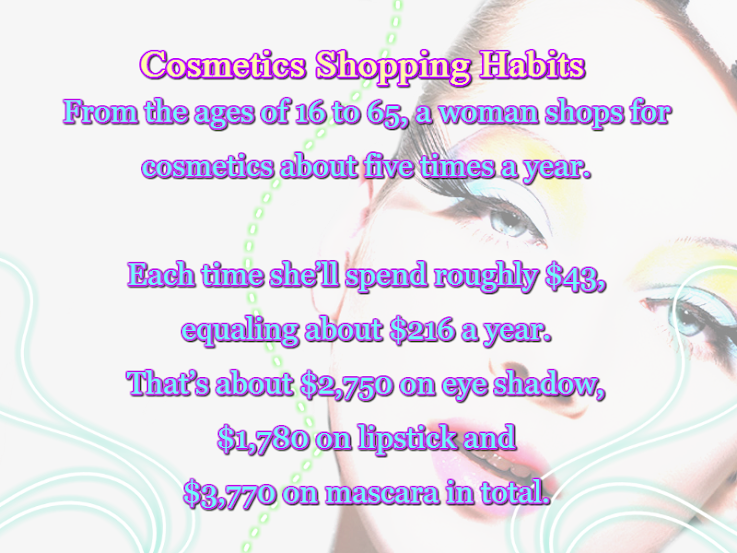 You will have to spend a good amount of money: If you add up the prices of all your cosmetics you may end up going above $200. Nothing can be done about it. It is necessary to keep a good number of lipsticks and eye shadows to avoid repetition and be in tune with the dress to be worn. It is estimated that in her life, a female spends as high as $15,000 on makeup. 8. Cosmetics discontinued quicker: Most big brands like to introduce new formula. Sometimes this means discontinuation of what we loved or suited our skin. The worst happens when we fall in love with a foreign brand only to be disappointed later because of their sudden disappearance from the country. A good example is the Max Factor 2000 calorie. One time it was the only mascara with curved brush in the United States. For some strange reason, it left the store shelves. Many protested, but it fell into deaf ears. Today, we have other brands offering curve brushes with mascara, but they just do not seem to reach the quality of what 2000 calorie gave us.